An 11-year-old girl died today after falling from a Ferris wheel on the New Jersey shore, the Cape May County prosecutor's office said. Abiah Jones, a student at Pleasant Tech Academy in Pleasantville, N.J., on a school field trip, fell from the Giant Wheel at Morey's Mariner's Landing Pier in Wildwood, N.J., about 12:30 p.m., police said, and died at about 1:15 p.m.
Jones fell while the wheel was in motion, Capt. Robert Regalbuto of the Wildwood Police Department told the Press of Atlantic City. 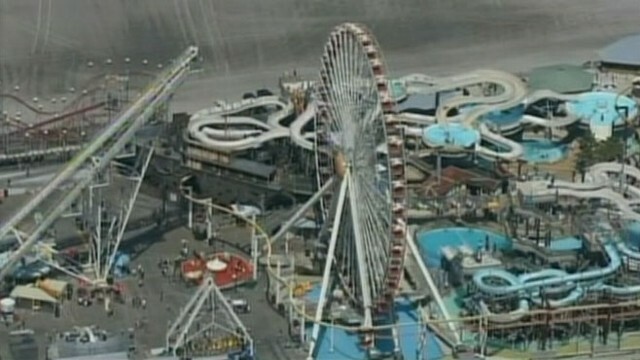 She fell approximately 100 feet from the 156-foot-tall Ferris wheel, according to The Associated Press. A spokeswoman for the prosecutor's office was unable to say how the accident occurred. "It's still under investigation," she said. Morey's Piers said in a statement, "The exact cause of the incident has not been determined, but at this time does not appear to be mechanical in nature." After the fall, Jones was prepared for transport to an area trauma center by a medivac helicopter. "However, due to the severe extent of the victim's injuries," Wildwood police said in a written statement, "on board medical personnel recalled the medivac helicopter and proceeded to transport the victim to The Cape Regional Medical Center in Cape May Court House, N.J."
The amusement park was busy during its annual "Education Extravaganza," in which area students visit the park.